Extreame Savings Item! Save 46% on the American Metalcraft (IS11) Two Tier Ironwork Stand For Rectangular Plates by American Metalcraft at Amina Restaurant. MPN: IS11. Hurry! Limited time offer. Offer valid only while supplies last. This two-tier Ironwork rectangular plates stand can hold two rectangular plates or baskets for a customizable display. Made of wrought iron material. 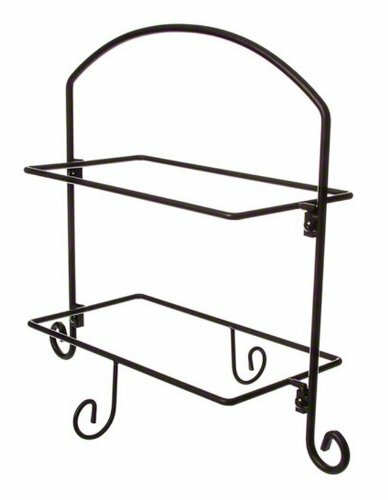 This two-tier Ironwork rectangular plates stand can hold two rectangular plates or baskets for a customizable display. Made of wrought iron material. Available in black color. Assembly required. Comes in small size. Measures 11-1/2-inch length by 19-5/8-inch width by 18-3/8-inch height.